Tony Little is the definition of the American dream. He's a fitness icon, and the quintessential example of a self-made entrepreneur. But he didn't start out that way. 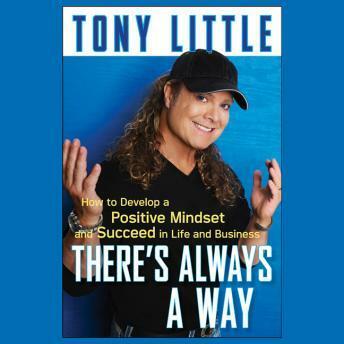 In There's Always a Way, Tony relates his incredible rags-to-riches story-from a promising career in bodybuilding that ended with a car accident, a painful recovery, and years of self-pity, to an incredible new start as a self- made fitness icon, infomercial and TV shopping pioneer, and multi-millionaire. Little goes on to show you how to build on his lessons of success. From turning the obstacles in your way into powerful motivators, to finding the opportunities that take advantage of your individual talents and strengths, to creating a business plan that will catapult you to success, Little lends his perspective, time-tested techniques, and incredible enthusiasm to a plan that will help you create your own path to success. With fascinating success stories from his triumphs and failures, as well as illuminating examples from other business icons, Little shows you how to recreate your way of thinking. He'll help you to find new directions in your professional life, and make the success you've only dreamed of.